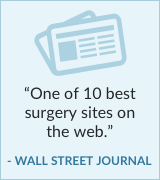 InsideSurgery.com will be hosting the June 5, 2007 Grand Rounds. The deadline for submission was noon on Sunday, June 3 EDT. For those that submitted thank you.